String trimmers, also known as a weed eaters, have been a reliable garden maintenance tool for years. These useful tools allow homeowners to perform quick and easy trimming work in their yard, cleaning up areas that a mower might miss. But if you’re ready to buy one of these landscaping tools, you probably want to find out which model is the best string trimmer on the market today. These trimmers come in a variety of styles and with different capabilities and features. Plus, there are some incredibly reliable brands with various models on the market. Different to “weed eaters” you may be interested in using a weed killer solution instead. Mowers come in all shapes and sizes, so make sure you take a look at all variations, so you get the best tool for the job. For quick and big jobs, zero turn lawn mowers are the most favored mowers. For bigger jobs we do suggest lawn mowers (click here for our review) over string trimmers. For a more modern approach we have also reviewed the top electric lawn mowers. You can always opt for a good and reliable reel mower – click here. View the Best String Trimmer for the Money, Below. 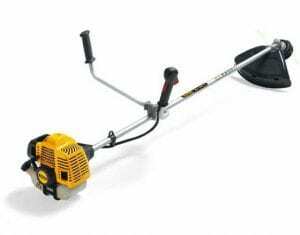 How to use a String Trimmer? How to Store Your String Trimmer? How Long Does a String Trimmer Last? 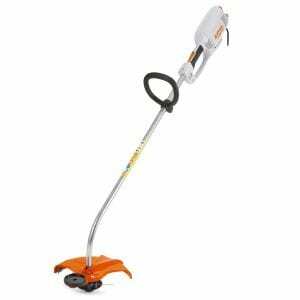 What to Look for When Buying a String Trimmer? While this means there’s a wide assortment of options out there, it also makes choosing the right model for you very difficult. But we’ve done the hard work for you. We took a look at the top models on the market today and compared their design, price, performance, and features. In the end, we’ve narrowed it down to the top 10 options available. After reading through this article, we’re confident that you’ll be able to choose the tool that’s best for your needs. BLACK+DECKER has been making quality power tools and accessories since 1910 and their LST136W String Trimmer is one of the most impressive lawn tools in its class. Designed for efficient performance and cordless maneuverability, this 13” model is powered by the BLACK+DECKER 40-volt MAX lithium-ion battery system, offering an impressive run-time and compatibility with other MAX-series tools. With a wide 13” cutting swath and an Automatic Feed Spool system that eliminates the need to bump your tool and automatically feeds line as you need it, the LST136W cuts down the time you spend tending to your property. The PowerCommand dial lets you choose from a max power of 8500 RPM for thick batches of weeds and 6500 RPM for increased battery life. And with PowerDrive transmission, this powerful device provides more cutting force than other competing models on the market. Plus, for added versatility, the LST136W’S head can be rotated 180 degrees, allowing you tool-free adjustment between cutting and edging tasks. See more information on BLACK+DECKER LST136W. At around $140, the BLACK+DECKER LST136W is one of the top string trimmers on the market today. The MAX lithium-ion battery system allows for rapid charging and easy, cordless use. And the PowerCommand dial lets you fine-tune the performance of your string trimmer based on your yard’s demands. At 9.8 lbs, it’s incredibly lightweight and easy to handle and is capable of perfectly edging and trimming any small or medium-sized property. Husqvarna has been building powerful power tools and yard accessories for years and the Husqvarna 967055801 is simply one of the top string trimmers on the market today. Designed for users who crave power, this workhorse is gas-powered and delivers commercial-grade power and performance. Powered by a 4-stroke engine that runs on straight gas, the 967055801 String Trimmer eliminates the need to mix oil and fuel. And, thanks to its Smart Start engine and starter system, air purge which removes air from the carburetor, and efficient fuel system, this string trimmer is designed to start quickly without hassle. Designed with a flex-drive straight shaft, bevel gear, and loop handle, this model from Husqvarna is built for easy operation and long-lasting performance. It’s compatible with string of any thickness and can perform edging as well as trimming for added versatility. At 17 lbs, it’s a solidly-built string trimmer that can withstand years of use while being light enough for extended use on large properties. See more information on Husqvarna 967055801. At just under $320, the Husqvarna 967055801 is certainly one of the most expensive string trimmers that we’ve featured on our list but it’s also one of the most impressive models on the market today. It is capable of delivering impressive power and performance and is perfect for power enthusiasts or semi-professionals who are looking for a workhorse that can tackle heavy-duty applications. With an easy-to-start engine and the ability to run on unmixed gasoline, it’s easy to use and is perfect for anyone looking for a reliable string trimmer that will offer years of dependability. The GreenWorks 21212 4-Amp String Trimmer is one of the top options for anyone looking for a lightweight, affordable, corded trimmer. The 4 amp motor of this electric string trimmer produces an impressive amount of power, allowing it to easily tackle most grassy conditions quickly and efficiently. A 13” cutting diameter is great for speeding up your yard work and, with a dual-line auto-feed system, you never have to worry about bumping your tool to feed line while you work. Plus, its quick electric start allows you to turn on this electric trimmer with just the touch of a button. Designed with an adjustable telescopic shaft for quick height adjustments and a convenient cord-lock that prevents you from getting tangled up, the 21212 Trimmer is incredibly reliable and easy to use. And thanks to a 5.2 lb body, it’s also one of the most lightweight models on the market today. See more information on GreenWorks 21212 4. The GreenWorks 21212 is one of the top electric corded trimmers on the market. While, due to the limited range offered by a corded trimmer, it’s not practical for large yards, it’s the perfect tool for efficiently maintaining a smaller property. It is backed by an impressive motor and, priced around $30, it’s one of the top deals on the market today. DEWALT has become a household name for anyone looking for durable power tools and accessories that deliver impressive power and performance and the DEWALT DCST920P1 is one the best string trimmers on the market today. Built with durability and efficiency in mind, this powerful electric trimmer can tackle even the toughest grass conditions in record time while allowing users to enjoy the freedom of going cordless. Powered by a 20-volt MAX 5.0 Ah lithium-ion battery, the DCST920P1 offers impressive power and a generous run-time. And its brushless motor allows for maximum motor efficiency and durability with no upkeep or maintenance required. A dual 0.080” line with bump feed offers a generous 13” cutting swath. And its variable speed control trigger lets you deliver precise power control while a Hi/Lo speed control switch lets you choose between high-performance cutting power and extended run-time. Designed to make maintaining your yard easier than ever before, this trimmer was built with a patented gear drive which offers more torque while maintaining the cutting speed, regardless of lawn condition. And at only 14 lbs, this ergonomically-designed trimmer is easy to maneuver and eliminates user fatigue. See more information on DEWALT DCST920P1. The DEWALT DCST920P1 String Trimmer is one of the most popular cordless trimmers on the market today. It’s built with the attention-to-detail and rugged style that we’ve come to expect from DEWALT while delivering some of the most impressive power in its class. It’s easy to handle and maneuver but is capable of tackling heavy grass conditions easily, which is a feat that is very impressive for a rechargeable battery-operated trimmer. BLACK+DECKER makes our list of the top trimmers of 2019 again with the LSTE525 20V MAX String Trimmer. This versatile electric trimmer is part of the brand’s PowerCommand line and offers the impressive power, features, and performance that you need to keep your property looking neat and clean. Powered by the BLACK+DECKER 20-volt MAX lithium-ion battery, this cordless trimmer is compatible with a wide-range of outdoor power tools for increased efficiency. For optimum performance, the LSTE525 was designed with PowerDrive transmission for increased torque and more cutting power and a 2-speed control that lets you pick between extra power and a longer running time. With EASYFEED, this versatile battery-operated trimmer allows you to feed your cutting line with a simple press of a button and its 12” cutting swath is capable of making quick work of even the toughest yard conditions. Designed with 2-in-1 functionality, this cordless trimmer allows you to quickly switch from trimmer to a wheeled edger in a matter of seconds. And with a micro-texture soft grip handle, adjustable height and handle, and a lightweight design, it offers user comfort during extended use. See more information on BLACK+DECKER LSTE525. The BLACK+DECKER LSTE525 12” String Trimmer/Edger is an incredibly well-made power tool that delivers impressive results and comes loaded with some great features that you wouldn’t expect to find in a trimmer in this price range. With exceptional power, an auto-feed button, an ergonomic design, and 2-in-1 functionality, this is a great cordless trimmer that will make maintaining your yard quick and easy. And at only around $80 for a package that includes 2 rechargeable batteries, this is one of the top deals on the market today. EGO Power+ + is a leading name in outdoor power tools and their 15” 56-Volt String Trimmer is one of the most impressive tools available in its class. Delivering high power and performance with the convenience of a cordless model, this trimmer can stand toe-to-toe with many rival gas-powered models without the maintenance and gas fumes. This cordless trimmer boasts one of the widest cutting swathes you’ll find on our list with a generous 15” capacity. And the high-efficiency brushless motor runs on a powerful 56-volt rechargeable battery for outstanding power output and cutting speed. And a bump-feed head allows you to quickly feed more cutting line while you work. The 49” extended aluminum shaft of this trimmer by EGO Power+ is perfect for getting into those hard-to-reach spaces and with a weather-resistant build, this is one of the most durable trimmers on the market. While the base model is perfect for anyone who already owns some tools from the EGO Power+ line and just wants to purchase the trimmer, there are also packages that come with 56-volt 2.0 Ah and 2.5 Ah battery kits which are available for an additional cost. See more information on EGO Power+ ST1500-S. If you’re looking for a cordless trimmer that offers the power you’d expect from a gas-powered model, the EGO Power+ 15” 56-Volt Trimmer is a perfect option for you. It delivers consistent trimming results and can tackle thick patches of weeds in no time. Plus, if you already own one of the other EGO Power+ 56-Volt yard tools like their lawn mower, leaf blower, hedge trimmer, or chainsaw, you can simply pop in the battery you already own and get right to work. The WORX WG160 is one of the most impressive trimming models for anyone with a small yard looking for an affordable, compact trimmer to maintain their lawn. Plus, thanks to its rechargeable 20-volt battery, it’s cordless, allowing you to maneuver around your property without the hassle of a power cord. The WORX WG160 Trimmer runs on a rechargeable 20-volt lithium-ion battery which is also compatible with several other outdoor power tools offered by the company. The battery charges quickly, delivers an impressive amount of power, and offers a generous run time. Its 12” cutting swath is great for getting into tight, hard-to-reach spots. And its 100% automatic single-line feed allows for optimum cutting efficiency. The WG160 Trimmer also serves double-duty as an edger and, thanks to a simple one-touch no-tool conversion system, you can switch between functions in seconds. A folding spacer guard helps you protect your shrubs and bushes from damage while trimming. And thanks to an ergonomic front handle and lightweight 5.7 lb, it’s also one of the easiest models on the market to maneuver. See more information on WORX WG160. WORX makes our list of the top 10 trimmers of 2019 again with the WG163. This trimmer was designed for easy-use and fast, efficient performance, delivering impressive power and a longer run time than comparable models on the market today. Running on the WORX 20-V MAX Lithium Ion system, this trimmer can tackle any grass condition in record time and, since it’s cordless, you never have to worry about fighting with a power cord. A 12” cutting diameter makes a wide cutting path for efficient performance but is small enough to trim tight areas. And the innovative Command Feed system allows for instant line feeding without having to bump your tool. The telescopic shaft allows for easy height adjustments and to switch this tool to an in-line edger, you simply have to turn the head and lock it in place. A dual-function space guard protects your plants and flowers while also acting as an edger guide. And with an ergonomic design and a compact 5.3 lb body, it’s one of the easiest models on our list to carry or store away when not in use. See more information on WORX WG163 GT. If you’re looking for a lightweight string trimmer that still delivers high power and performance, the WG163 is one of the smartest buys out there in 2017. The 20-volt MAX system offers impressive power and the 12” cutting diameter is perfect for making quick work of yard maintenance. Converting to an in-line wheeled edger takes seconds and adds versatility to this well-priced yard tool and thanks to its lightweight build, it’s one of the easiest models of the market to operate. The Remington brand is known for building powered lawn tools that are both reliable and affordable and the Remington RM2510 String Trimmer/Edger is no exception to that rule. This versatile model offers simple, balanced curved shaft design. The Remington RM2510 String Trimmer runs on a 25cc 2-cycle engine, Its 16” cutting swath makes quick work of your yard’s maintenance and its dual line bump head make it easy to trim a wide area of grass without stopping to refill the trimmer line. For added versatility, the Remington RM2510 trimmer has a Quick Start technology, which reduces the effort it takes to pull start the engine. Plus, at only 13.6 lbs, this ergonomically-designed trimmer is very lightweight and will never cause user fatigue. See more information on Remington RM2510. If you’re looking for an affordable trimmer that delivers impressive results and a well-manicured lawn, then the Remington RM2510 is one of the most impressive trimmers that you can buy. It’s incredibly lightweight and easy to handle and having that Reliable 25cc 2-cycle engine with QuickStart technology offered by the company. And, thanks to its compact design, this trimmer can be easily stored away in your garage or shed when not in use. If you are looking for a corded trimmer that delivers some very impressive cutting power, the GreenWorks 21102 is one of the best trimmers that you can buy. This weed trimmer runs on a powerful 10 amp electric mower for some of the highest performance you can find in a corded trimmer. A step up from the 21212, this string trimmer offers more power, allowing it to quickly tackle even the most demanding yard applications. And a wide 18” cutting path helps reduce operating time by making a very generous swath across your property. Plus, this straight shaft trimmer features an easy-to-use .080 dual-line bump feed system for quick line feeding. At only 8.14 lbs, the 21102 Trimmer feels sturdy but is still light enough for anyone to use. And with a simple electric start switch and a cord lock feature that prevents you from getting tangled up in your extension cord, it’s incredibly easy to use. See more information on GreenWorks 21142. If you have a small yard and want a budget-friendly option that offers a generous amount of cutting power, the 21102 is a perfect product for you. Its 10 amp motor can tackle even heavy-duty weed trimming with ease. And the large 18” cutting swath made by this trimmer means you can finish your yard work in less time and with less effort. If you’ve never used a stringing trimmer before, there are some simple tips that will help you quickly master this easy-to-use yard tool. By following these steps, you’ll be able to get professional results while eliminating the risk of accidentally scraping or damaging your lawn. The first thing to consider is the style of your weed trimmer. While there are some trimmers that feature a curved-shaft, you’ll notice that the models featured in our list of the top grass trimmers on the market are mostly straight-shaft tools. This is because a straight shaft gives you more control over the tool and allows you to easily navigate tight turns and get under bushes and trees. The next thing to look at is the spin direction of your trimmer. Using your trimmer the wrong way is going to decrease both the efficiency and the results that you get. A trimmer’s cutting line spins in a circular direction in a horizontal plane. As it cuts, the trimmer needs to shoot debris away from its cutting path. This means that if your weed eater spins in a clockwise direction, it’s going to eject debris from the right side of the tool. This means that your trimmer is going to make the best cuts with its left side. So, in the example above where your trimmer is working in a clockwise direction, you’ll want to keep the left side of your body along the walkways and objects that you are trimming. This will allow you to use the left side of your trimmer’s cutting diameter while letting clippings fly out the right side. If you don’t work in this manner, your debris will pile up along your cut line, causing your sight line to be blocked and possibly causing your tool to jam. Now you are ready to begin trimming your property. Before you do, just remember that the power and precision of this tool is held in the ends of its string. You want to use the edge of your spinning cutting line to do the trimming, especially if you want clean, even results. There are several techniques that can be performed with a weed whacker that will transform your home’s yard from average to spectacular. The first technique is edging. This action is done to even the line between parallel surfaces in your yard such as the sidewalk and turf. Some models actually feature an easy adjustment feature that allows you to rotate the horizontal-spinning head of your trimmer to a vertical movement. This will allow you to edge more easily. But even if your model doesn’t feature a rotating head, you can perform this action by simply turning your tool so that the string is vertical. With a vertical positioning, simply walk the tool in a cut path while ejecting material out as you pass. Debris like rocks, clippings, and dirt will all be removed, leaving a cleaner edge along your pavers, walkways, or driveway. Another technique is tapering. This technique involves trimming your patches along curbs, fences, trees, and other obstacles where your lawn mower won’t reach. The tapering technique allows for a cleaner look than simply working with your tool’s entire diameter of cutting line because it allows you to blend your cut to the mowing height of your lawn. To taper, simple tilt your tool so that the string tilts slightly down towards the obstacle you are trimming around. This will allow you to achieve a tight, tapered look that blends in with the height of your mowed grass. The final technique that you can achieve involves getting rid of those unsightly patches of grass or weeds that grow through cracks in your driveway, paths, or sidewalks. This is called screening. To screed, you simply tilt your tool so the cutting line is glancing the pavement, and then move into the weed’s base by cutting flush against your hard surface. This action will allow you to rip out these thick patches of grass and weeds faster than you could ever do it by hand. A string trimmer, also known as a weed eater or whacker, is an outdoor power tool that can either be powered by electricity, rechargeable battery, or gasoline. They are lightweight and work by using a string made of a flexible monofilament that spins at such a high velocity that it becomes stiff enough to cut through weeds and grass. This motion makes this tool very similar to a compact version of a rotary lawn mower since it uses a horizontal spinning movement to tear through blades of grass and patches of weeds. Some of the more basic models on the market require you to bump the underside of the tool on the ground to feed new string as the old one wears away. Other, newer models feature quick-feed systems that feed string automatically or with the touch of a button. This consistent ability to replace worn out a string with new cutting line allows these tools to work without metal blades that would require regular sharpening. There are two types of string trimmers on the market: gas or electric trimmers. This simply describes the power source that the tool’s engine will use to operate. While they both tackle the job efficiently, there are several differences between the two styles such as power, noise, and maneuverability. Gas powered string trimmers are cordless and are generally more powerful that electric-powered models. Because of the power delivered, these models are used by homeowners with large yards with heavy growth as well as professional gardeners. Gas models can have 2-stroke engines which need a mixture of gasoline and oil or 4-stroke engines which run a bit more smoothly, allow for easier startup, and can run on straight gas. These trimmers usually feature pull starters that might take a few attempts to get going and tend to be heavier and far louder than their electric counterparts. One final drawback is that these models tend to require periodic maintenance, making them somewhat of a burden for homeowners who want a maintenance-free option. Electric weed whackers come in both corded and cordless styles. Electric models require practically no maintenance and are much quieter than gas-powered models. They also don’t give off any harmful gas fumes and are far quieter than gas trimmers, making them a healthier alternative for both yourself and the environment. They’re also lighter than gas models, making them much easy to maneuver and carry. Plus, since these models run on electricity, they start up with the touch of a button. There are some differences between cordless and corded trimmers. Corded models need to be plugged in to an electrical outlet to operate. While they are best for small areas, due to the limited range of an extension cord, they’re not really suited for maintaining large areas. The benefit of a corded model is that they are normally the lightest and most inexpensive models on the market. Cordless models are powered by rechargeable NiCad or lithium ion batteries. They start easily and are just as quiet and maintenance-free as their corded counterparts. The difference is that you are trading a limited battery life, which is still normally more than enough to tackle most small or medium yards, for an unlimited operating range. As we mentioned above, you have three options when you are purchasing a string trimmer: gas, cordless electric, or corded electric. Each model has its own pros and cons. The model that is right for you depends on the condition and size of your yard, how often you will use the tool, and a couple of personal preferences. Let’s look at the pros and cons of each and then explain what factors you should consider when choosing the style that’s best for you. Gas-powered weed eaters are the best because they offer total mobility because you aren’t tied down to an electrical cord or a battery’s operating life. This makes them best for large properties. Plus, since they offer more power than electric models, they are better for heavy duty cutting applications like overgrown areas and very thick patches of weeds and grass. The downside to gas models is that they are much louder than electric models which can be annoying to both your family and neighbors. They also emit harmful gas fumes (click here for the study on trimmer emissions) making them less than best for the environment. Plus, the pull start of gas models sometimes takes a few attempts to get the motor going which some owners find inconvenient. These models are also heavier than electric models and, since you’ll need to pay for engine servicing and gas and oil, they cost more due to higher maintenance and operating costs. One final consideration is that these are the most expensive models on the market and usually run between $200 to $500. These battery-operated models give you total freedom from both gas and extension cords for the best maneuverability. Plus, cordless models start at the touch of a button for less hassle. They are also very quiet and lighter than gas models while being low-maintenance and very eco-friendly. One final benefit is that these models are not as expensive as gas models and you can purchase a quality cordless model for somewhere between $80 and $200. The downside to cordless models is that your usage is limited to the battery’s runtime. This means that it’s not the best for very large properties. They also are slightly heavier than corded models and if you want to buy a spare battery, they tend to be rather expensive. Plus, with a bit less power than their gas-powered rivals, they’re not suited for consistent heavy duty work. Corded models offer some of the best benefits for homeowners with small yards or access to plenty of outdoor power outlets. These models offer an unlimited runtime because you never have to worry about running out of gas or battery power. These models are the lightest on the market and require practically no maintenance. They’re incredibly quiet, start at the touch of a button, and have a lower operational cost than gas models. These are also the most affordable models available and you can find a quality corded trimmer for somewhere between $25 and $80. The drawback to these models is that you have a limited coverage area since you are tethered to an extension cord. This makes these trimmers only practical for smaller lawns. They also offer less power than a gas-powered model so heavy duty work might not be as efficient. There are some basic guidelines for which model is right for you and what other features you need. First off, if you have a very large yard or frequently tackle heavy duty conditions, a gas-powered weed eater is recommended for you. They give you the unlimited range and power that you’ll need for these applications. If you have a small or medium yard and don’t tackle thick, demanding conditions on a weekly basis, a cordless model is best for you. The fact that these models run on a rechargeable battery gives you the maneuverability that you need and the runtime of these batteries is more than sufficient to cover up to a medium yard. Plus, they deliver more than enough power to periodically tackle heavy-duty workloads and are best for regular maintenance. If you have a smaller property where a limited working range won’t be a factor, your best bet is a corded model. These models are incredibly light and offer enough power to tackle most conditions easily. And as long as your yard isn’t too large, the limited range of your power cord won’t be an issue. While electric trimmers can simply be stored away without any special preparations except for a basic wipe-down, if you are going to be storing your gas-powered model for any length of time over 3 months, there are some steps you need to take. By taking these easy precautions, you will ensure that old fuel doesn’t gum up your fuel system or prevent your tool from working correctly when you try to use it in the spring. The first thing you need to do is either run your tool until the gas tank is empty and it dies on its own. This will ensure that all excess oil is burned off the carburetor. If you aren’t going to use your weed eater until it is empty, then you need to empty the fuel into an approved container and dispose of it according to your local regulations. Then run your tool until it dies out on its own to ensure all residual fuel is gone. This step will ensure that the diaphragms in your carburetor and fuel pump don’t stick together and that the jets and bores are clog-free. Next, you need to clean the fuel tank with a metal brush and a rag. If there are some stubborn clumps of dirt or grass, you can add a small bit of gasoline and swirl it around in the tank to loosen the deposits. This will ensure that you don’t introduce any debris or sticky gas clumps into your tank when you refuel it next year. Once your tank is clean, you should replace the fuel filter on the end of the fuel line. This will ensure that only clean gas is introduced to your carburetor next season. Now you simply have to clean the rest of your tool. Use your brush or rag to wipe away any debris or grass clippings from the cutting head, air vents, and air filter cover. Once clean, simply store your weed whacker in a dry place so that damp air doesn’t damage the tool’s internal engine components. The average life expectancy of a string trimmer varies greatly based on how often it is used, the scope of the demands placed on it, and how it is cared for. But most residential weed eaters that are used on a weekly basis, receive proper maintenance as described in their user manual, and are prepped for winter storage using the steps that we mentioned above can last a minimum of 5 to 8 years. To ensure that your model lasts as long as possible, make sure to follow the general maintenance and upkeep guidelines described in your user manual. Clean your model regularly to prevent it from clogs or overheating. Winterize your gas-powered trimmers prior to storing them away for any period longer than 3 months. And make sure that you use an appropriate extension cord if you are using a corded model since this will prevent the motor from burning out. By taking the previous steps you can count on your weed whacker to be a reliable yard tool in your arsenal for years to come. 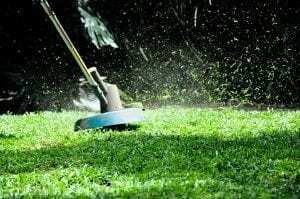 When you’re done mowing your lawn, there’s still those unsightly weeds and grass around your flowerbeds, trees, walkways, and fences to take care of. Unfortunately, your lawn mower isn’t going to be able to reach those spots. This is where a trimmer comes in. When you’re done with the garden waste, putting it in a composter bin can have amazing benefits. String trimmers finish what your lawn mower started, getting those hard-to-reach spots and leaving your yard with a professional, manicured look. But with several styles and options available, choosing the right trimmer for your needs can be confusing. Let’s take a look at some of the key features that you should consider before purchasing your new trimmer. There are two styles of string trimmer on the market today: electric and gas-powered. Gas models offer the most cutting power and are best for landscaping professionals and homeowners with large properties. The downside to gas-powered trimmers is that they are the most expensive models on the market and also the heaviest, making them a bad choice for anyone looking for a lightweight, affordable tool. Other factors that need to be considered are that gas trimmers require more maintenance, are slightly louder, and emit gas fumes. Gas trimmers can range from $200 to $400. Electric trimmers come in both corded and cordless models. Cordless models run on rechargeable lithium-ion batteries and allow you to use your tool without being tethered to a power cord. Cordless models offer a bit less power than gas models but are also less expensive and lighter. The drawback is that they aren’t practical for large-scale, heavy-duty applications because your battery might run out. But having a spare rechargeable battery on hand is a good way to resolve that problem. Cordless trimmers can cost between $100 to $200. Corded trimmers need to be plugged in to operate but are also the most inexpensive and lightest models on the market. These tools are ideal for smaller properties where being bound by an extension cord isn’t a problem. But if you have a large property, you are better off purchasing a cordless or gas model since they are far more portable. Corded models can run between $30 to $90. The second factor to consider is the cutting width that the trimmer provides. The size of the cutting diameter directly translates to how wide a cutting swath the trimmer can make. Models can have a cutting width as narrow as 10” to as wide as 18”. If you have a small yard and tight spaces that need tending, then compact width is perfect. But if you have a large property and are looking for efficient performance, a model that has a cutting width of at least 16” is recommended. Trimmers come with 3 shaft options: straight, curved, and adjustable. Each of these designs has their own pros and cons. A straight shaft trimmer is best for trimming tight spaces thanks to its inline design. It also is perfect for getting under obstacles such as shrubs, decks, and benches. The downside is that straight shafts can be a bit unwieldy to control. A curved shaft trimmer offers better control thanks to its curved design. This control allows you to guide it into the tightest spots with ease. The downside is that curved shaft trimmers are difficult to maneuver under bushes and other objects. Both curved and straight shaft models often feature an adjustable shaft feature. This feature allows you to change the working height of your tool. This is highly recommended since it allows you to get into spots that you normally couldn’t reach. It is also one of the best if more than one person is going to be using the trimmer since they can select the working height that is right for them. String trimmers are designed with either a single or dual-feed line. Single-line heads allow for easier winding when installing new trimming line and are perfect for small gardens and lawns. But if you want a tool that cuts larger properties faster, a dual-line is recommended since these tools cut twice with each revolution. A major factor that needs to be considered is the weight of your trimmer. Since you are going to be carrying it around your yard, you need a tool that is practical to carry. Since the weight of string trimmers can range from 5 lbs up to 20 lbs, this is where some trade-offs might be necessary. Gas-powered trimmers tend to be the heaviest on the market but offer the most power. Corded models can be as light as 5 lbs but have a limited work range. For most homeowners with a medium-sized yard, a cordless trimmer is one of the best options since it leverages impressive cutting power in a model that is heavier than a corded tool but considerably lighter than a gas model. By considering the size of your yard, your budget, and how heavy a workload you’ll be placing on your trimmer, you’ll be able to find the model that’s perfect for your needs. Professionals and power enthusiasts can’t go wrong with a gas string trimmer with a generous cutting width. Homeowners with medium or large properties and average grass conditions will reap the benefits of a battery-operated model that offers a lighter weight and more affordable price than its gas-guzzling cousin. And users with small yards and light grass and weed conditions can efficiently tackle their lawn with a corded model that is both easy to handle and incredibly affordable. And also being noise friendly too. Our recommendation for the top pick on the market today is the BLACK+DECKER LST136W Trimmer. This cordless electric weed eater runs on a powerful 40-volt MAX lithium-ion battery that allows it to operate at speeds between 6500 and 8500 RPM, allowing it to tackle even difficult lawn conditions with ease. Its 13” cutting diameter is generous and makes wide swathes for faster performance and its ability to choose between more power or a longer run-time adds some of the best versatility. The PowerDrive trimmer transmission (click for study) of the LST136W adds the best burst of power to this outdoor maintenance tool and allows it to run quietly and smoothly. And, since the head can be easily rotated 180 degrees, converting this power tool to a high-performance edger only takes a few seconds. Designed with an easy-to-handle ergonomic design and weighing in at just less than 10 lbs, this tool is easy to maneuver. Our recommendation for the best premium option on the market in 2019 is the Husqvarna 967055801 Straight Shaft 4-Stroke Gas Trimmer. This is one of the most impressive models on the market and delivers commercial-grade power and performance in an easy-to-use package. Its 4-stroke engine runs smoother than 2-stroke models on the market and runs on straight gas, eliminating the time-consuming task of mixing oil and gas. And with a Smart Start engine, repeated pulls to turn on your trimmer are a thing of the past. The straight-shaft design allows for better maneuverability and easy access under bushes and trees. And at 17 lbs, it’s incredibly sturdy but can still be handled easily. 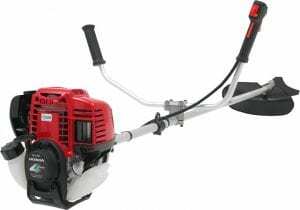 If you have a large property or frequently tackle thick, heavy grass and weed conditions, the 967055801 is one of the best trimmers that you can buy. At around $320, it is certainly the most expensive tool we’ve featured in our list but it was built to last and delivers the performance and power that you need to make maintaining any home’s yard quick and easy. If you are looking for the top bargain on the market, our pick is the Greenworks 13-Inch Gras Trimmer. This is an easy-to-use, lightweight model that is perfect for maintaining the grass and weeds on a small or medium-sized lawn and delivers impressive power. Also having a 13” cutting diameter is enough to get into those hard-to-reach areas. The Greenworks 13-Inch Grass Trimmer has a Dual-line feed that trims faster and cuts twice the grass, also with a Automatic line feed that automatically feeds trimmer line when needed so no more bumping is required. The telescopic shaft allows for easy height adjustments and a easy-to-use tilting head allows you to quickly go from trimmer to edger, and weighing 7 lbs you can use this tool for hours without feeling fatigue. Thats why we have made this are Best Value Choice. Make sure you stay safe operating a trimmer, see this study for tips. We hope you enjoyed our article on "The 10 Best String Trimmers 2019", if so, please share and rate it. Great product Greenworks 21212 13-Inch, a good all round budget String Trimmer if you have a small yard.